Edith Yeung is a Chinese/American venture capitalist and partner at 500 Startups. 500 Startups has a goal of discovering and backing some of the most talented entrepreneurs in the world to help them create successful companies at scale while building flourishing international business ecosystems. Yeung has a special interest in investments in mobile, Internet of Things, artificial intelligence, virtual reality, augmented reality, travel, analytics, and blockchain technology. Edith Yeung is a Chinese/American venture capitalist and partner at 500 Startups. 500 Startups has a goal of discovering and backing some of the most talented entrepreneurs in the world to help them create successful companies at scale while building flourishing international business ecosystems. Yeung has a special interest in investments in mobile, Internet of Things, artificial intelligence, virtual reality, augmented reality, travel, analytics, and blockchain technology. Prior to her role at 500 Startups, Yeung worked for the Sequoia-backed mobile browser company Dolphin as VP of marketing and business development. She also founded a seed stage investment company called RightVentures and BizTechDay, a small business market research company, and has worked extensively with industry giants like Oracle, AT&T, Siebel, and Autodesk. Based in the United States and China, Edith Yeung’s varied investments stretch across both countries. Yeung has a major interest in developing companies in the Asia-Pacific region, particularly in Malaysia. The investor completed her education in the United States where she achieved a Certificate with Distinction in Project Management from the University of California, Berkeley, a BS in Industrial Management and an MIS in Marketing from Purdue University. Yeung also took part in the Executive Program for Growing Companies at Stanford University and completed a course on Private Equity and Venture Capital at Harvard Business School. In July 2018 Forbes reported that Edith Yeung is actively documenting tech trends in the style of Mary Meeker with her China Internet Report. The report dissects Chinese and American brands in terms of technology in shopping, payments, ride-sharing and messaging. 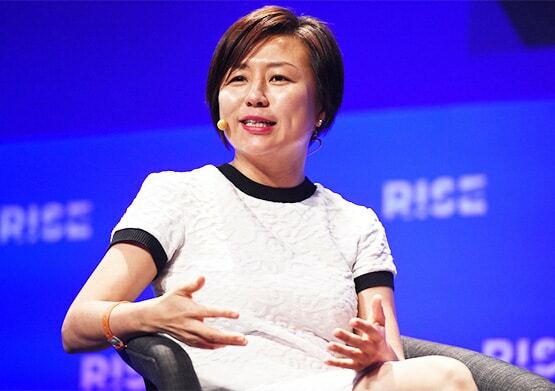 Business Report published an article about China’s venture capital scene and quoted Edith Yeung’s opinion on China’s ever-increasing venture capital scene. Coin Journal reported on a US$28 million series A funding for the Chinese blockchain startup Nervos. Edith Yeung is an advisor to Nervos and believes it to be the top technical team in China.